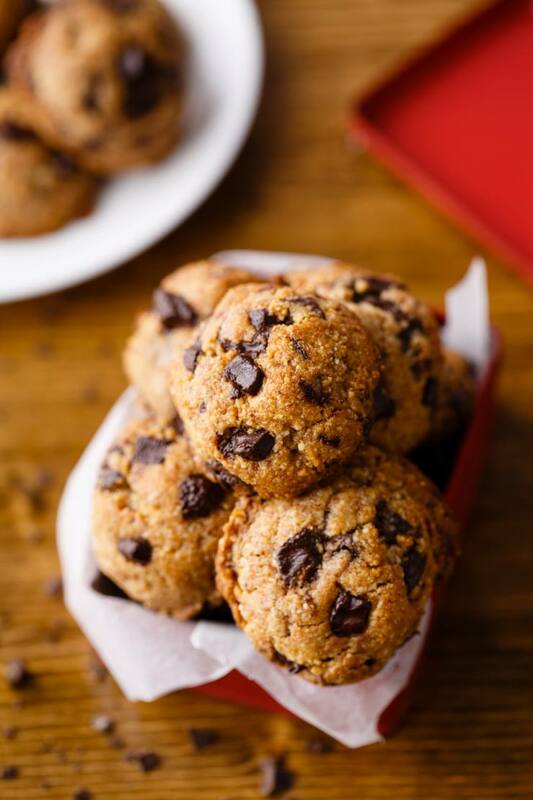 Looking for an extremely easy recipe to make amazing paleo-friendly chocolate chip cookies? This one is a home run. 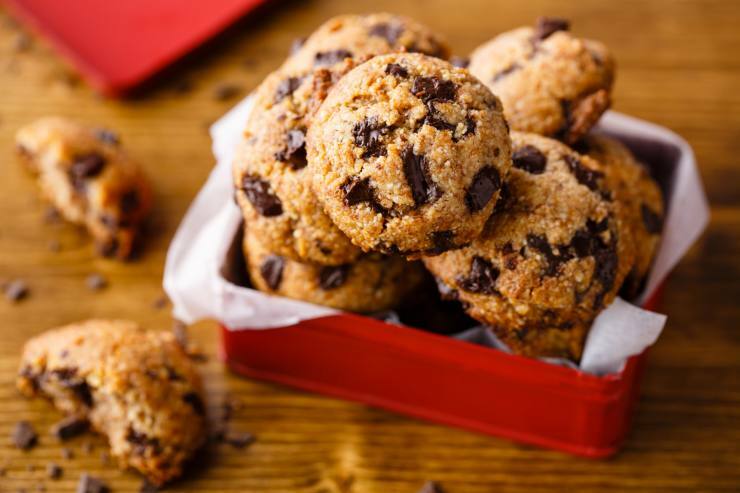 Using all natural ingredients like almond flour, coconut oil, honey, apple cider vinegar, and dark chocolate we’ll teach you how to make some incredible paleo cookies that aren’t too high-calorie. These are a great dessert if you’re trying to watch your weight or simply if you want something that’s not too rich and decadent. Most of the time, chocolate chip cookies are made using milk chocolate for the chunks. While there’s nothing wrong with that, for anyone following a paleo diet, it’s obviously not ideal. Thankfully, depending on how strict you are with your paleo lifestyle, dark chocolate makes for a great alternative. Even better, dark chocolate actually has some great nutritional benefits, unlike milk chocolate which is usually already stripped of the beneficial properties of cacao. 1. Almond Flour – Almond flour is one of the most popular paleo flour substitutes because it can be measured 1:1 when used as a substitute for wheat flour. However, finding very finely milled almond flour can be challenging, as brands tend to mislabel almond meal as almond flour. The JK Gourmet brand and the Honeyville Farms brand are close to ideal, so try to find these or something similar when using recipes that call for wheat flour. Almond flour works great when baking denser baked goods such as cookies, muffins, or coarse cakes. 2. Almond Meal – Almond meal is a less finely-milled version of almond flour. Almond meal is great as breading for meats, however in some cases it can also be used for baking such as in crusts, cookies or fruit cakes. If you can’t get your hands on almond flour, you can still use almond meal. Just reduce the measurement slightly. 3. Coconut Flour – Coconut flour is another commonly used paleo substitute as it tend to be cheaper than almond meal and almond flour. It has a high fiber content, so it is best suited for recipes with a lot of wet ingredients. Coconut flour can be tricky to work with because of its coconut flavor, and small changes in measurement can drastically alter the finished product. As a general rule, a ratio of 4:1 of wheat flour to coconut flour is recommended for most recipes. 4. Cassava Flour – Cassava is made from the starchy tuber root vegetable and is both sweet and/or bitter depending on the variety you pick up. It’s not the most nutritious substitute on this list, but it is also a viable alternative to wheat flour in terms of texture and ratio of measurement. Cassava flour works great with breads, cakes and cookies with its neutral flavor. Whereas almond flour and almond meal have a higher fat and protein content relative to carbohydrates, cassava is very starchy and is composed predominantly of carbohydrates. Everyone loves a good cookie now and then and who can say no to chocolate? Combined, you simply can’t go wrong. These could be the ultimate paleo snack, especially if you don’t have much time to prepare a full-blown dessert. Thanks to dark chocolate and other great all natural ingredients, it’s possible to still enjoy tasty chocolate chip cookies that are actually good for you. In a bowl place the almond flour and baking soda and mix to combine. Add the coconut oil, honey, pure vanilla extract, and vinegar. Mix to combine. Store the cookies in the refrigerator in an airtight container. P.S. 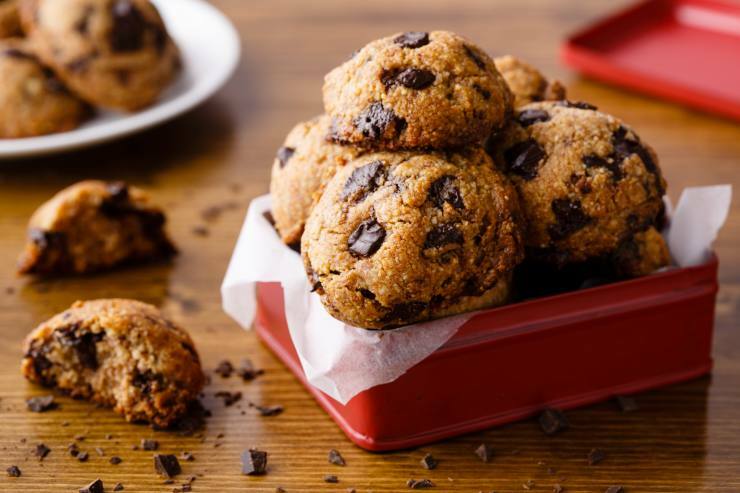 – Chocolate chunk cookies aren’t the only great paleo snack that you can make with dark chocolate. Just wait until you try this rich delicious dark chocolate pudding made with chia seeds as well. P.P.S. – Looking for another great paleo cookie recipe? How about some delicious gingerbread cookies with chocolate icing. P.P.P.S. – Here’s yet another great chocolate cookie recipe – chocolate crinkle cookies. They’re another perfect way to enjoy a chocolate treat while still remaining paleo.